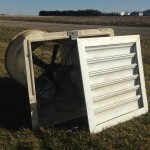 Used Swine Equipment | Near Remington IN updated 03 24 2019, fans, feeders heat mats, hog cart , gates, sow feeders !!!!!!! Near Remington IN updated 03 24 2019, fans, feeders heat mats, hog cart , gates, sow feeders !!!!!!! Measures 70” by 16” and has 2 compartments. Bought in 1994. $1200 – Measures 70” by 16” and has 2 compartments. Bought in 1994. Nilfisk (formerly KEW) hot water pressure washer. It has an 8 hp motor, puts out 5gpm at 2200 psi. I bought new for $5850 in 2012. I have 2 25 foot extension hoses and the adjustable-pressure gun\wand with whirlybird that goes with it. Picture 7 – all at $6 a foot – three 120” by 38”. Six 9’9” by 38”. Eight 11’10” by 32”. Ten 5’6” by 32”. Ten 7’3” by 3’. One 9’ by 3’6” . six 7’ by 3’. Two9’8” by 3’ . one 4’4” by 3’. Two 3’8”by 3”. One 2’2” by 3’. One 5’8” by 3 ‘. Picture 6 – all at $6 a foot – three 120” by 38”. Six 9’9” by 38”. Eight 11’10” by 32”. Ten 5’6” by 32”. Ten 7’3” by 3’. One 9’ by 3’6” . six 7’ by 3’. Two9’8” by 3’ . one 4’4” by 3’. Two 3’8”by 3”. One 2’2” by 3’. One 5’8” by 3 ‘. Picture 5 – all at $6 a foot – three 120” by 38”. Six 9’9” by 38”. Eight 11’10” by 32”. Ten 5’6” by 32”. Ten 7’3” by 3’. One 9’ by 3’6” . six 7’ by 3’. Two9’8” by 3’ . one 4’4” by 3’. Two 3’8”by 3”. One 2’2” by 3’. One 5’8” by 3 ‘. Picture 4 – all at $6 a foot – three 120” by 38”. Six 9’9” by 38”. Eight 11’10” by 32”. Ten 5’6” by 32”. Ten 7’3” by 3’. One 9’ by 3’6” . six 7’ by 3’. Two9’8” by 3’ . one 4’4” by 3’. Two 3’8”by 3”. One 2’2” by 3’. One 5’8” by 3 ‘. Picture 3 – all at $6 a foot – three 120” by 38”. Six 9’9” by 38”. Eight 11’10” by 32”. Ten 5’6” by 32”. Ten 7’3” by 3’. One 9’ by 3’6” . six 7’ by 3’. Two9’8” by 3’ . one 4’4” by 3’. Two 3’8”by 3”. One 2’2” by 3’. One 5’8” by 3 ‘. Picture 2 – all at $6 a foot – three 120” by 38”. Six 9’9” by 38”. Eight 11’10” by 32”. Ten 5’6” by 32”. Ten 7’3” by 3’. One 9’ by 3’6” . six 7’ by 3’. Two9’8” by 3’ . one 4’4” by 3’. Two 3’8”by 3”. One 2’2” by 3’. One 5’8” by 3 ‘. Picture 1 – all at $6 a foot – three 120” by 38”. Six 9’9” by 38”. Eight 11’10” by 32”. Ten 5’6” by 32”. Ten 7’3” by 3’. One 9’ by 3’6” . six 7’ by 3’. Two9’8” by 3’ . one 4’4” by 3’. Two 3’8”by 3”. One 2’2” by 3’. One 5’8” by 3 ‘.